Whether you are treating sun damage, acne breakouts, scars or lines and wrinkles, combination therapies are the way to go. Your skin is comprised of more than one layer, so in order to treat it properly we need to address skin concerns on all levels. This is also a great way to save time as one treatment every 4 to 6 weeks is all you need for healthy, glowing skin. At IHA we love our combination treatments. To prepare the skin we start with an AHA/BHA chemical peel or enzyme exfoliation. This helps to lift off the dead layer of the epidermis. Removing this dead layer has an indirect effect on the bottom living layer, giving it a kick start to produce new healthy cells. This process slows down with age so it is very important not to miss out on exfoliation. Removing the build-up of dead cells will aid in better penetration for lasers and products applied to the skin afterwards. We have a wide variety of peels and exfoliators to suit all skin types and conditions. Now that we have a nice clean ‘canvas’ we can start to add on to our treatment. We like to customize our facials for each and every client so the laser used will be determined by the therapist on the day of treatment or during a consultation. Carboxytherapy is an amazing treatment where micro injections of carbon dioxide are delivered beneath the skins surface. This gas stimulates blood flow and oxygen to the tissues, by doing so we increase cell metabolism and therefore recovery time post treatment. 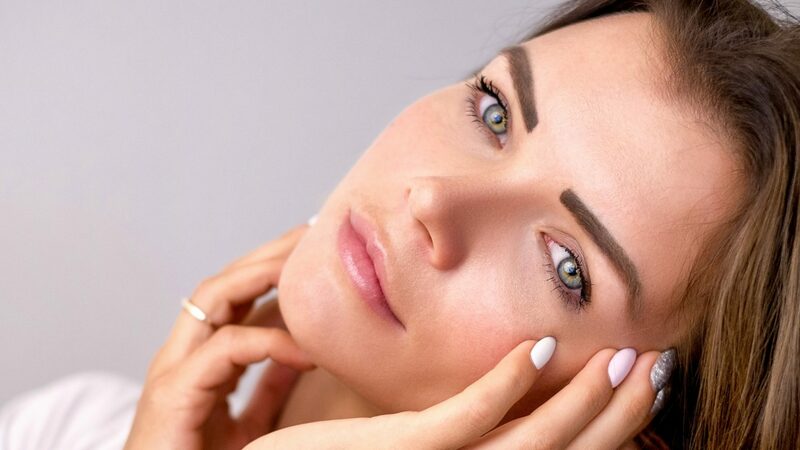 The tiny injections increase collagen production in the skin and can be targeted to problem areas of congestion, scarring, lines and wrinkles. This gas has wonderful effects on the delicate tissue around the eyes. Clearing dark circles, softening lines and reducing puffiness. Laser Genesis using the Cutera ND Yag laser is a pain free, no downtime treatment that has wonderful results on all skins. It gently heats the deeper layers of the skin stimulating collagen production. With a range of treatment depth we can address many concerns with this treatment. An oily skin with large pores, breakouts and scarring can expect to see a smoother, clearer and tighter skin. Very red skins will see a huge improvement in dilated blood vessels as the laser targets these vessels. All round hyperpigmentation and wrinkle reduction is seen after a few of these treatments. Cavatation and Radiofrequency with the Alma Accent Ultra. This laser can break down unwanted fat on the jawline and tighten up skin on the face, neck and chest. Using different laser depths allows us to customize the treatment for each client. As our face ages we notice sagging around the jawline, this laser lifts the skin up giving a smooth and sleek jawline. This is a no downtime laser that can be combined with our other modalities. Needleless Mesotherapy with the Transderm machine, using ampoules containing a cocktail of powerful skin vitamins, peptides and growth factors. After a peel and laser treatment the skin is ready to receive and utilise powerful hydration and anti-aging ingredients. A gentle current pushes actives into the deeper layers of the skin. This treatment also creates muscle stimulation giving the skin a beautiful toned look. All our ‘’peel and laser’ treatments are concluded with a mask and lovely massage to help the skin, mind and body to relax. There many other ways we can combine treatments to suit your needs in our clinic. Our knowledgeable therapists can help to guide you to get the best results possible. Many of these treatments can be applied to areas of the body. Please give us a call or drop an email to book a free consultation.